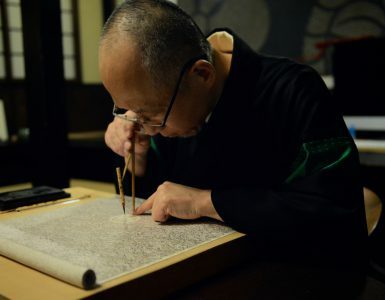 Kukai – commonly known by the honorific Kobo Daishi, is the founder of Shingon Buddhism in Japan, who was a great calligrapher and engineer as well. He’s a superstar of Japanese Buddhism, who had the charisma to attract people and a downright genius. Let’s take the course he took and get to know him. 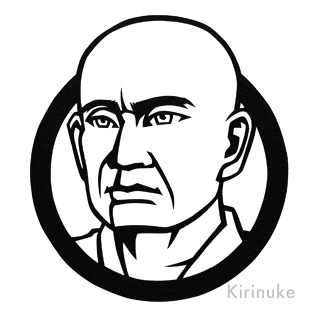 One of the most popular and respected figures beyond Buddhism, Kukai is a superstar of Japanese history. He is born March 21, 774, on the island of Shikoku. His family was members of the aristocratic Saeki family (Kukai’s secular name is Saeki no Mao), a branch of the ancient Otomo clan, which shows Kukai possessed the knowledge of ancient Shinto. Later he advocated the syncretism of Shinto and Buddhism, it’s obvious he put importance on ancient Shinto, he understood the native Shinto faith and value should be respected in a great deal. The time he was born, Japan was going under the important political changes with Emperor Kammu seeking to consolidate the power to make a strong country. During this time, the Saeki-Otomo clan suffered government persecution due to allegations that the clan chief, Otomo Yakamochi, was responsible for the assassination of his rival Fujiwara no Tanetsugu. 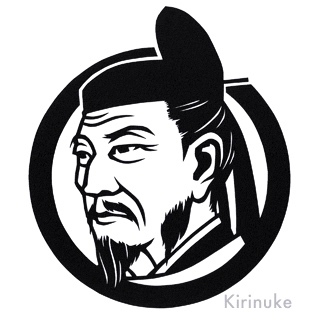 At the age of 18, Kukai was learning Confucianism and Chinese characters, which were at the end of the 8th century. However, it’s considered that Kukai became disillusioned with his Confucian studies but developed a strong interest in Buddhist studies. Confucianism was introduced in 513, little earlier than the Buddhism which was introduced in Japan, in 538. He put himself in the mountains and caves to practice chanting True Words a million times in a hundred days, which is believed to boost memorizing pearls of wisdom and pieces of knowledge. 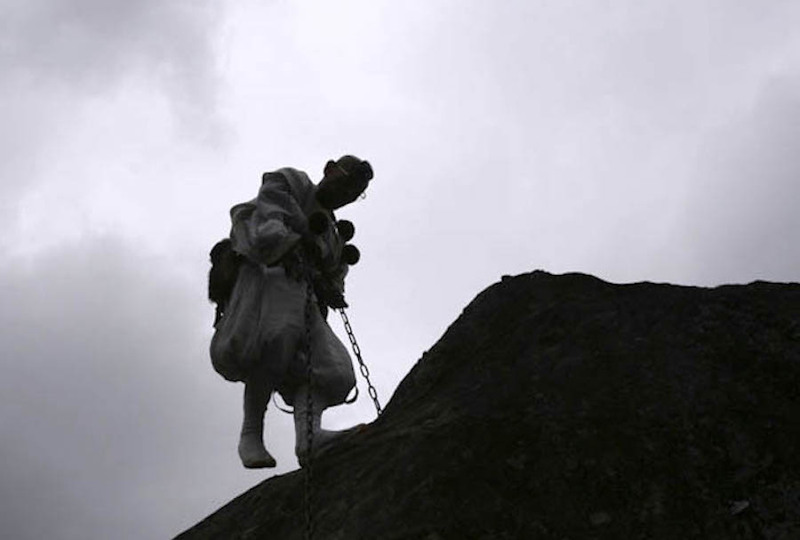 Basically, practicing in the mountains is the training of ancient Shinto such as Shugendo took over the practice. Kukai is said to have a mystical experience when he was practicing at Point Muroto in Kochi. He described that the incarnation of Bodhisattva jumped into his mouth. 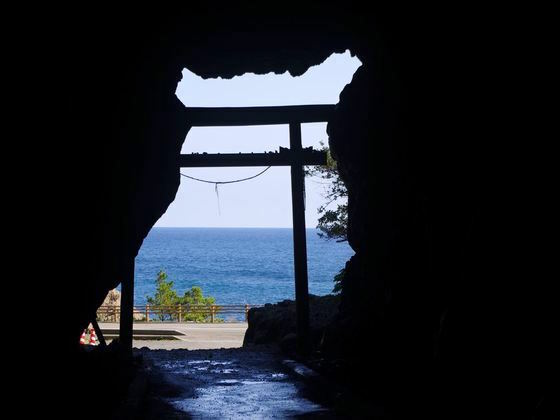 A coastline was way above at the time and the scenery Kukai had inside from the cave was only the sky and the sea, which is considered the reason Kukai began calling himself “Kukai” (the sky and the sea). This kind of Buddhism practice is for keeping one’s body and mind clean. When it combines with the fast or eating woods, one has a better chance to experience the mystic. What he really experienced there, we can’t get to know, however, the experience made him decide to explore more of the Buddhism and its practice for the rest of his life. At the age of 24, he published his first major literary work, Sango Shiiki in which he claims the superiority of Buddhism over Confucianism and Taoism in a dialectic manner. In the preface to the book, Kukai wrote that he felt the impermanence of all things, couldn’t stop feeling sad deeply for their bad karma in their previous lives by looking at the ugly and the poor. Buddhism in Japan was still in its early stages, which was only for the elites and court nobles. Officially, a Buddhist monk had to be approved by the court to practice its preach but Kukai was still one of the private monks who was banned and lived outside the law. He began to study Mahavairocana Tantra, which is an important Vajrayana Buddhist text. Kukai traveled to Tang China to study more about Mahavairocana Tantra on a government-sponsored expedition while a lot more people came from Bokkai (northern Korea, Northeastern Manchuria and now Primorsky Krai of Russia), Shiragi (one of the Three Kingdoms of Korea) to Japan to learn Japanese stuff. 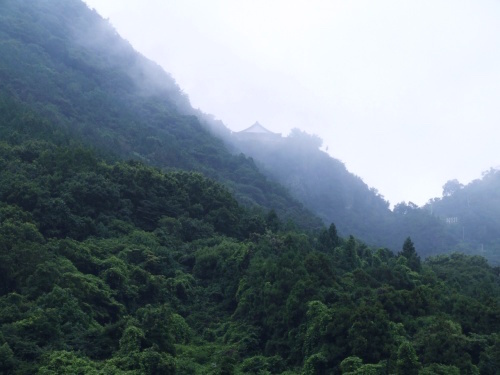 On the same year, Saicho traveled to Tang China as well accompanying two disciples. The journey to Tang China was never easy. Out of four ships which aimed to sail there, one had to turn back to Japan due to the storm, one was lost in the sea, only two ships made it there including the first ship with Kukai and the second one with Saicho. 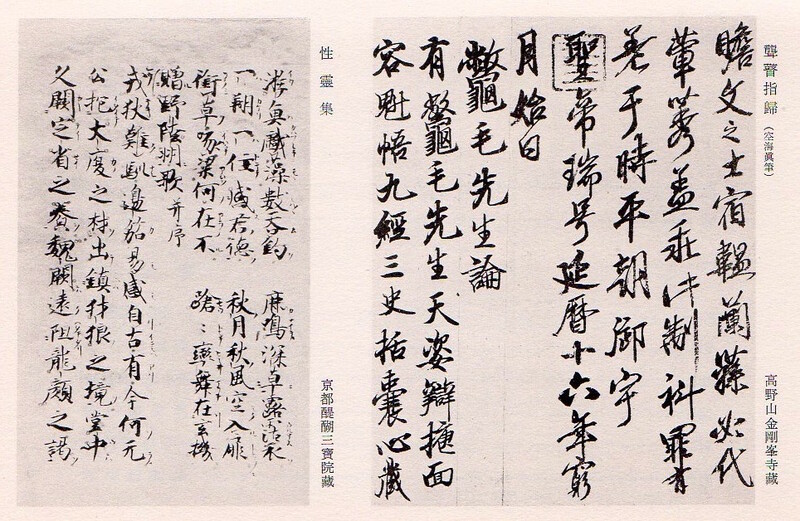 The letter which was written by Kukai in a tactful manner and his fluency in Chinese made the group possible to dock in Tang China, otherwise, they would have been caught and murdered mistakenly received as members of pirates. In 805, Kukai met Master Keika of the Qing Long Temple in Xian. This encounter changed his life forever. Keika came from an illustrious lineage of Buddhist masters, famed especially for translating Sanskrit texts into Chinese including the Mahavairocana Tantra. He had no hesitation to bestow upon Kukai the first level abhisheka (esoteric initiation) and in a few short months, he received the final initiation. Over numbers of head of Chinese disciples, Kukai became a master of the esoteric lineage and he never looked back ever since. A few month after Keika taught everything to Kukai, Keika died. Kukai wrote the inscription for him. He introduced the lineage to Japan upon his return, creating a new school of Buddhist practice, spawning new religious thought, arts, and architecture, which we will see below. 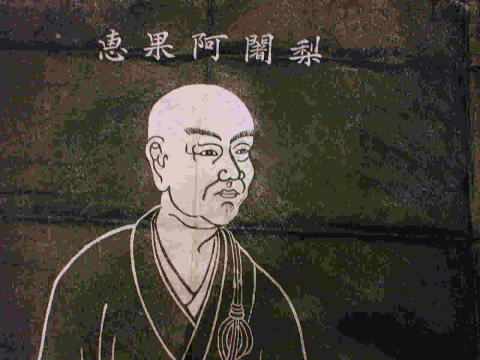 In 812, Kukai became the acknowledged master of esoteric Buddhism in Japan. Esoteric Buddhism is one of the Mahayana (greater vehicle) Buddhism, this is what the period required for a religion. The benefits of performing incantations; practice faith healing. In the following year, he outlined his aims and practices in the document called The Admonishments of Konin – 『弘仁遺誡』. He completed seminal works of Shingon Buddhism at Takaosan (Mt. Takao). What attracted Kukai about esoteric Buddhism is its Aufheben (sublation) between the Diamond and the Womb. 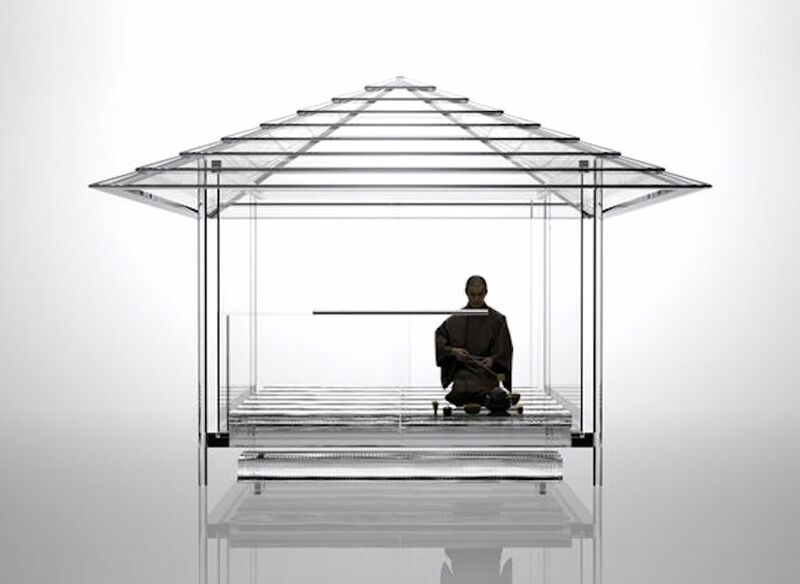 In Buddhism teaching, they say nothing can exist without the other existence, this is called “Ku” (empty) in Esoteric Buddhism while putting Dainichi Nyorai (Mahavairocana) on the top of everything. 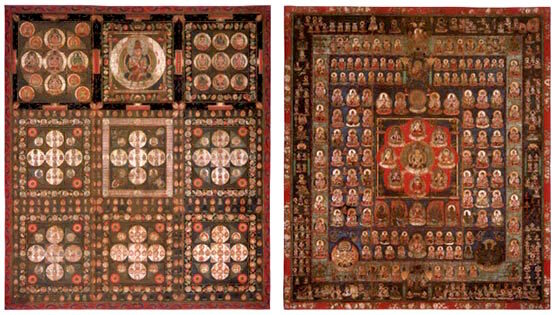 The mandala in Shingon Buddhism is a diagram picturing the doctrines expounded in the two major esoteric scriptures; Mahavairocana Tantra and Vajrasekhara Tantra. It’s like a map for one’s journey to the enlightenment. He alleged that the mandala proves to be a metaphor for a new envisioning of reality, self, and the world, a vehicle for the transformation of vision, whereby one envisions the world as a mandala. Shingon Buddhism, esoteric teachings allow for practitioners to leap into the center to realize non-duality by taking the entirety of the cosmic mandala into one comprehensive view. The Diamond Realm mandala represents the “male principle”, an expression of a wisdom that is adamantine and imperishable and that illuminates and enfolds all beings. Its design is a rectangle consisting of a combination of nine smaller mandalas, each an originally independent mandala, juxtaposed to depict a double spiraling movement, centrifugal and centripetal. The Womb Realm mandala represents the enlightened universe from the perspective of compassion, an expression of the “female principle” just as a mother enfolds her child in the care of her womb. In its mandala, from the center, enlightenment radiates outward in a spiral manner. The mantras, however, are mysterious and each word is profound in meaning. When they are transliterated into Chinese, the original meanings are modified and the long and short vowels are confused. In the end, we can get roughly similar sounds but not precisely the same ones. Unless we use Sanskrit, it is hardly possible to differentiate the long and short sounds. The purpose of retaining the source materials, indeed, lies here. In 809, Emperor Saga came to the throne, he allowed Kukai to enter to Heian-kyo, the Capital at the time, which was a rare thing for a monk because of the corruption of Buddhist monasteries. Before the first meeting with Emperor Saga, Kukai sent him a letter describing anyone who is excellent at writing should have an excellent brush and asserted there are no such brushes in Japan. 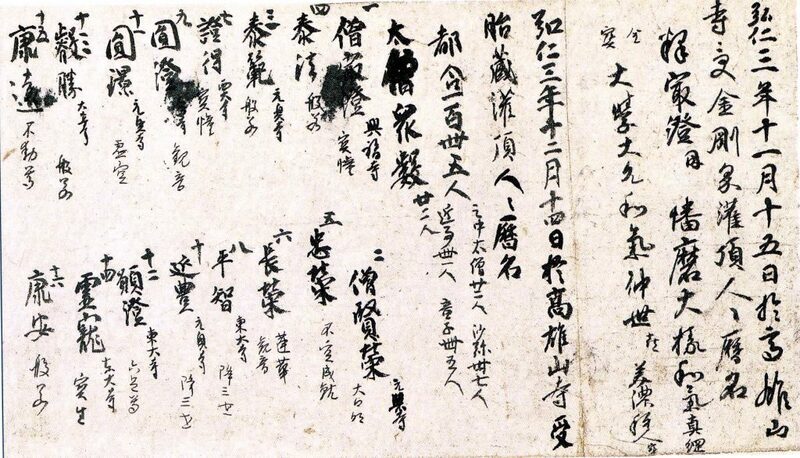 Emperor Saga, known as a good calligrapher, was perplexed and disgraced by this letter. The day they first met, Emperor Saga came to like Kukai in a great deal. How come? 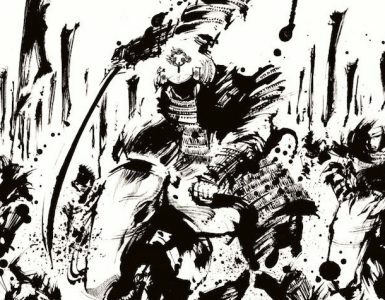 Kukai brought the excellent quality of brushes to Emperor Saga. In 816, Emperor Saga accepted Kukai’s request to establish a mountain retreat at Koyasan for the practice of Shingon Buddhism. His vision was to make Koyasan be a representation of Mandala of the Two Realms, the Womb Realm mandala, and the Diamond Realm mandala. In 823, To-ji Temple, still in the middle of the construction, was given by Emperor Saga and Kukai finished the project with free rein. 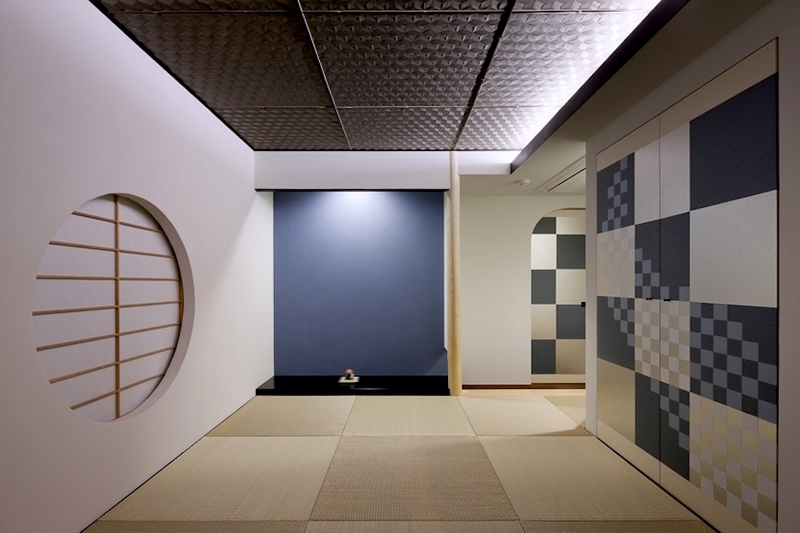 It became the first Esoteric Buddhist center in Kyoto, which gave him a base close to the court and its power. Having Emperor as his disciple was one of his dreams and it came true. There would be no more humble expressions in the letters exchanged between Kukai after he turned 40 and Emperor Saga. Another important figure of Japanese Buddhism at the time, Saicho has been the elite from the start, he was allowed to have a temple immediately and already was active after he returned from China backed up by Emperor Kammu. Kukai and Saicho have compared at every opportunity and the obvious difference between them is Saicho learned exoteric Buddhism while Kukai learned esoteric one. The latter one is what people were crazy about, which was seen as the supernatural power of sorts. But his understanding of esoteric Buddhism lacks essentials since he only studied it just a part of it for only a month. Saicho has encountered the powerful counterbalancing force, the Nara Buddhism. He wanted to learn the secrets of esoteric Buddhism from Kukai, asked him to lend scriptures. Kukai willingly borrowed them, but he ended up not borrowing them all as Saicho was not practicing in the mountain but just read them. Kukai sent Saicho the letters, Fushinjo, explaining that he Shingo esoteric Buddhism is about acquiring supernatural powers so that he has to go to the mountains to practice. Trying to understand and master the secrets of esoteric teaching never works telling him he would no longer borrow Saicho the scriptures since it’s not his intention to have him misunderstand it. Saicho was completely at a loss, he sent his disciples to Kukai and intended to learn its secrets from his own disciples. While all of his disciples returned to Saicho, there was only one and his favorite disciple Taihan didn’t come back. He sent a letter to Taihan asking him come back for heaven’s sake, which hever did. In 810, Kukai emerged as a public figure when he was appointed the administrative head of Todai-ji Temple, the central temple in Nara and the head of the Sogo (Office of Priestly Affairs), which is the top of all the monks. Kukai was considered to be one of the three great calligraphers at the time. Other two were Emperor Saga and Tachibana no Hayanari who also studied with Kukai in Tang China. He was hoping to combine the art and the truth in the literature. 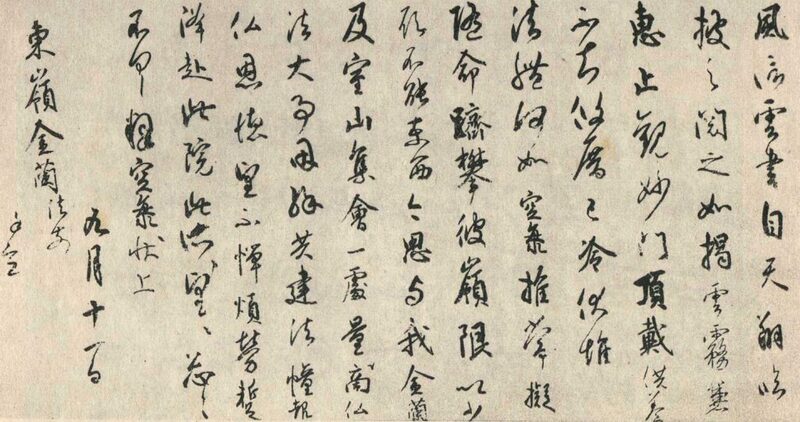 He once criticized previous Chinese and Japanese ones in his writing. Kukai definitely aspired to be a literary reformer. In Shoryoshu, the poetry and other works written by Kukai were compiled by one of his disciples, Shinzei, made up of ten volumes. Kanjo Rekimei is the record of the list of names who Kukai made a ceremony to make a good relationship with Buddha in 812 and 813. It’s impressive that there is a name of Saicho who was already a high-rank monk. In addition to that, there’s a name of Taihan, who was the medium of their breaking away. 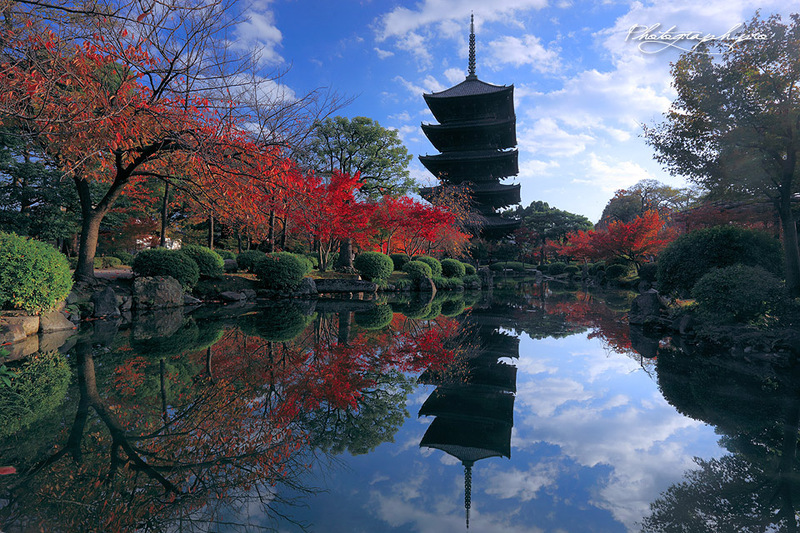 What Kukai brought back to Japan is not only Shingon Buddhism but also the latest technology of civil engineering. He was asked to take over the flood control project of Manno-Ike pond in his local area, Kagawa, which he completed in three short months. 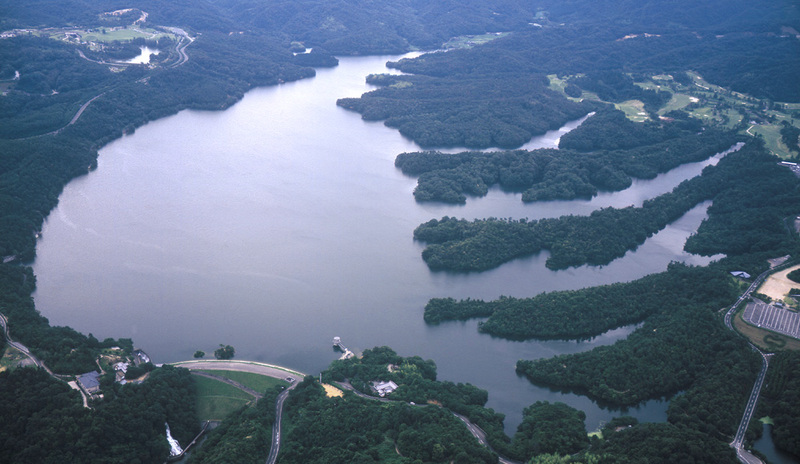 Manno-Ike pond became the largest holding pond for irrigation after several bursts and workover. Why he could complete the project in such a short time, his personal magnetism played a big part besides the latest technology he introduced. Kukai never failed to perform an incantation of Shingon Buddhism to promulgate it. 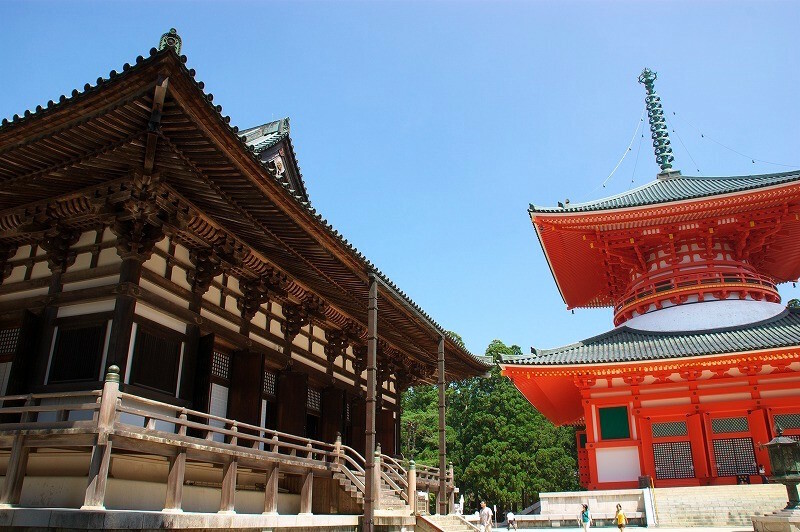 One of the other large construction projects, Koyasan had completed largely thanks to Koya Hijiri. They are the lowest rank monk at Koyasan who were also merchants, traveled around the countries to collect contributions telling people the legends of Kukai. That’s why there are numerous legends of Kukai even though he didn’t travel to those places. Among his achievements, opening the first school for everyone from any social class has to be remarked as an exquisite one. It’d be closed ten years after Kukai’s death, still, it was an epic project, since only the elites and aristocracy could access to the education at the time. The school taught Taoism, Confucianism, and Buddhism. He exhorted people to study not only Buddhism but the wide range of earthen learning. They provided free meals for the pupils, which was crucial because the poor could not afford to live and attend the school without them. What Kukai saw about the academics and schools in Tang China is they were open only for the aristocracy. Kukai must have wanted to change its norm to show anybody who wants to learn, they can learn and be successful as he showed himself as a great example. We can see one of the major influences of Kukai on the popular pilgrimage to the 88 temples in Shikoku, the holy spots related to Kobo Daishi. 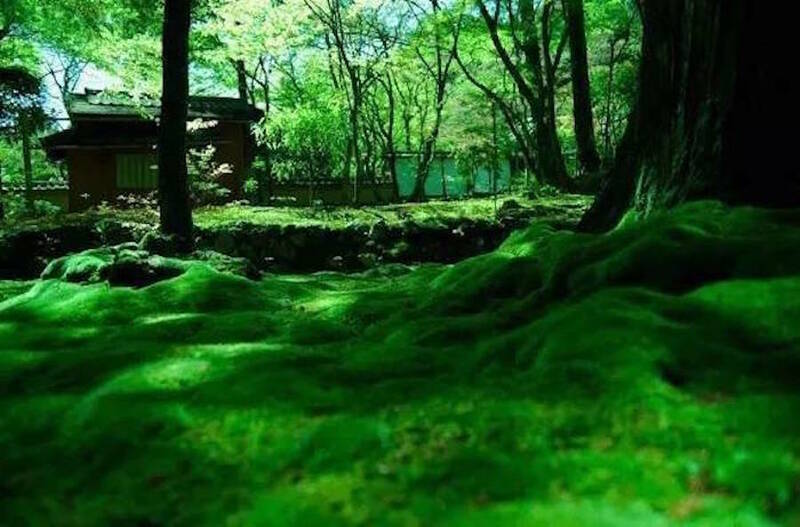 From the ancient times, Shikoku, where Kukai practiced Buddhism teachings, has been called “Heji” (isolated outpost) due to the long distance from the capital. 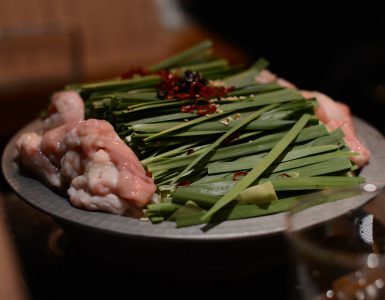 In the Heian period, it became the practicing place for Shugenja (Shugendo practitioners). Kukai was one of them and after he died, it became the popular place for monks to trace his steps. It’s the origin of Shikoku Henro (The Pilgrimage to the 88 Temples in Shikoku). In the Muromachi period, numerous monks went on the pilgrimage on these paths and the term Shikoku Henro was made during the Edo period when general people joined the club. On their white clothing and sticks, there’s a line – Practicing with two which means Kukai is always together with a pilgrim. 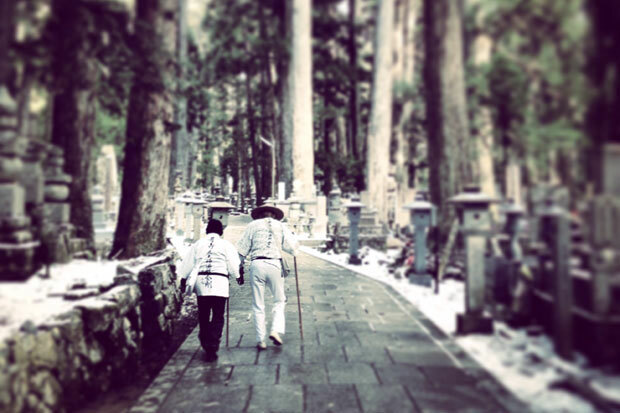 Pilgrims see this line from time to time on the paths, they never feel alone but with Kukai. Not a few pilgrims ended up dead on the way and buried along the way. 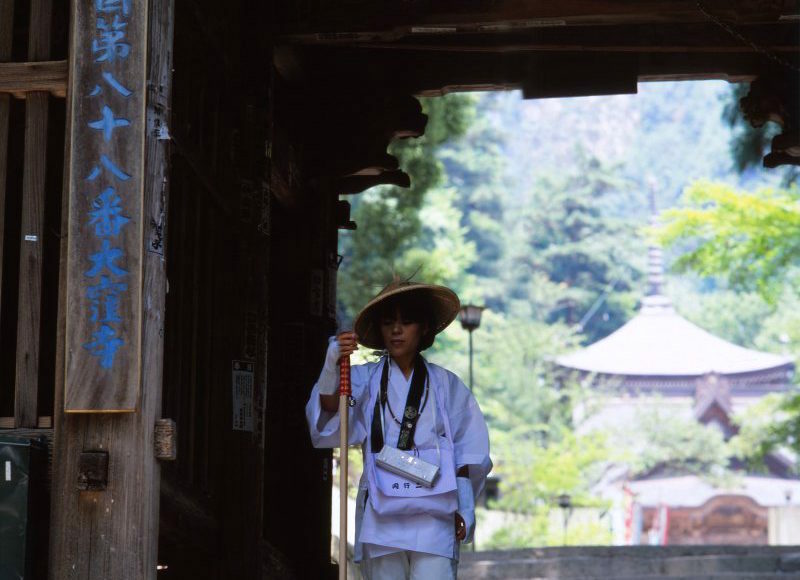 Why holy spots in Shikoku have its mysterious and dusky atmosphere is because numerous pilgrims with great sufferings put on a burial outfit (white clothing) walking the path. In the modern times, people go on the pilgrimage to find themselves or seek for the healing on the journey. The posthumous name “Kobo Daishi” was given by the 60th Emperor Daigo after 86 years of his death. However, a legend tells that Kukai has not died, but entered into an eternal Samadhi and is still alive on Koyasan. The highest rank monk prepares food and changes his clothes every day, but nobody can see him. Like other notable figures, Prince Shotoku, Kukai’s presence gets only stronger in the modern days and perhaps will get even stronger in the chaotic times. His charisma, wishes of the people, and mysterious energy never dies. You can measure the depth of a person’s awakening by how they serve others.